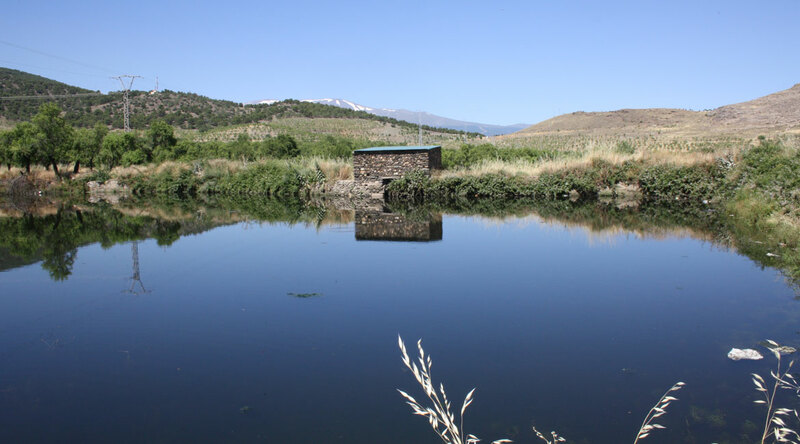 The historical exploitation of water in Sierra Nevada has been studied by the UGR team which coordinates the MEMOLA Project since 2009. The importance of water in the peaks of Sierra Nevada and the perfect organization of the utilization of this resource since medieval times, will allow us to obtain multidisciplinary results of high relevance. 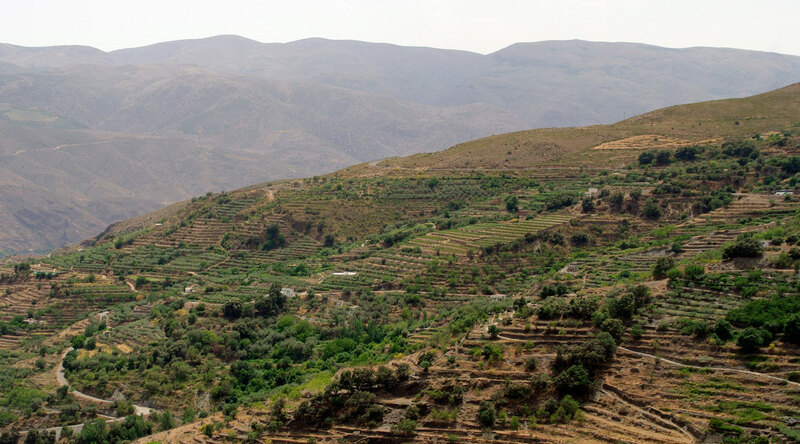 Irrigation systems, formed by huge networks of irrigation and acequias de careo constitute the embodiment of water management and control reached by the societies settled in this mountain landscape. Water runs through diversion ditches on different altitudes. The highest ditches, or acequias, are located over 2.000 meters, below the level of the cliffs and meadow peaks. The dams and ditches are made of earth and stone. The ditches run through the hillsides of deep valleys releasing abundant water coming from snowy peaks through the chortales or chorreras, id est, openings in the ditches that filtrate the water, which irrigates the foot of the slopes. This is called careo. These ditches only function during winter and spring, sometimes even in June, if the water is abundant. Its fundamental goal is to filter water soaking the mountain on its superficial levels o more deeply through the system of fractures and faults of the nevado-filábride complex, recharging the aquifer which will continue flowing and exuding from the river bases during spring season, when resources are scarce. The springs can be natural sources or water mines artificially excavated. Complementary but equally important, the chortales also create artificial grasslands with abundant pastures or plots of arable land to grow spring cereals and other crops. All villages use water from the Sierra Nevada Mountains, which reaches their lands as it flows down through gully areas and rivers. Water is mainly the result of ice thaw, which, as we said before, works as a 'natural pond'. Nevertheless, the harvesting system is slightly more difficult and extremely ingenious. The main irrigation channels for vegas located in the highest areas are built on irrigation dams from 1,400 m or more. Normally there is at least a dam per river; however, the actual situation is more complex. Most systems include a pond. Water from the main irrigation channel runs into it. The pond is normally found on the central area rather than at the beginning of the system. They are used for regulating irrigation using stored water after sunset. Armlets, also known as paras, are derived from the main irrigation channel and the pond and head towards each small village or to the subdivisions of each vega, i.e. terrains (pagos). Irrigation takes place on a rigorously preset order, starting with the nearest districts and ending with the ones located furthest from the pond or vice versa. In other words, a strictly topographic order is followed. Every time the terrains in a vega are irrigated it is known as tanda (turn). It varies in length depending on water availability. Irrigation is unlimited during the autumn and winter seasons, when water is in abundance. The same order is followed, but no time limits are set. It is then when eventual irrigation lands receive water supply. When water resources are scarce, only the vega area is irrigated on a minutes-per-area basis. The most common measurement unit used is the marjal. Time is calculated on the basis of water availability, which is calculated on the basis of per water strokes. It stands to reason that turns are shorter, not only because time is controlled, but also because high temperatures make it necessary to irrigate lands more regularly. Water may be sold or leased, and each farmer may choose how to use the volume of water they get. For the study of traditional and modern utilization of water in Sierra Nevada, the conclusions draft from the surveys of Landscape Archaeology (Hydraulic Archaeology are decisive, -where a planimetric survey of the network of acequias from several municipalities included in the Protected Area will be conducted-. Based on this, the partners of project MEMOLA -hydrologists, hydro-geologists, botanists, agronomists and environmentalists- will be able to analyse the modern uses from a diachronic perspective. 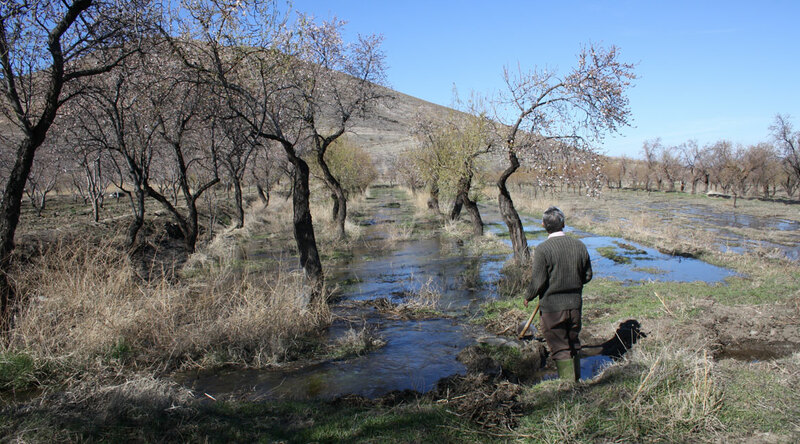 One of the main goals of the Project is the proposal of viable alternatives for the maintenance of traditional irrigation systems, whose current state of semi-abandonment by the authorities deems primordial the implementation of measures for its protection.